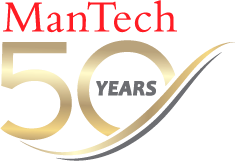 Over the past 50 years, ManTech has continued to lead, grow and provide our customers with innovative technology and solutions. It’s all over the news, being buzzed about from Silicon Valley to Washington D.C. — cybersecurity. An Interview with Society for Human Resource Management (SHRM) President & CEO, Johnny C. Taylor, Jr. Your talent should meet our opportunities. Let us know about you and your qualifications as you explore your next career challenge with us.